I’ve been quite obsessed with chickpeas recently. I mean, I have hummus everyday (#hummusandcarrots4lyf) but I’ve also loved eating chickpeas ‘in the raw’ (roasted chickpeas, yes please)! It’s no secret I love chickpeas in stews, as they really pack a protein punch so keep you full, aaaand I am also obsessed (probably an understatement) with aubergines. 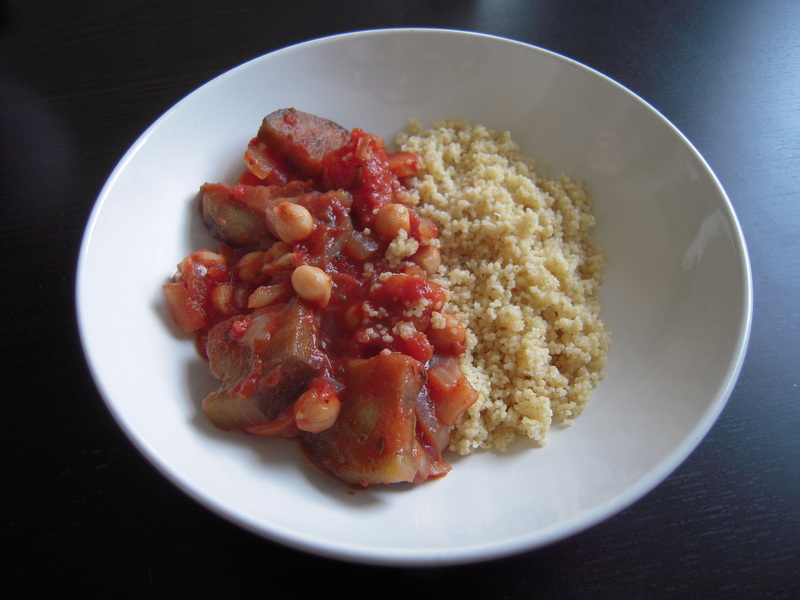 So I thought, why not make an aubergine and chickpea stew?! 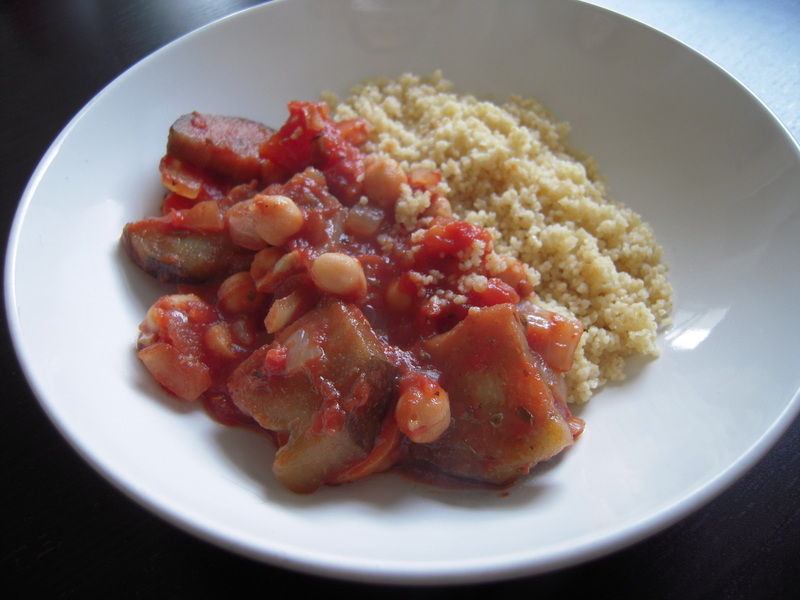 It’s an amazing combination of silky, melt inthe mouth aubergines with chickpeas and tangy tomato. Foodgasm in the mouth. Saute the onions until soft and add garlic and carrots. When it all becomes fragrant, se aside. Cook the aubergine until soft in some olive oil in a pan. Once the aubergines are soft,a dd to the onion, carrot, garlic mixture an sauté so all the flavours are bound together. Add the tomato tin (and passata if necessary) and possibly some water, as the stew will reduce. Add the chickpeas and leave to simmer for a while. 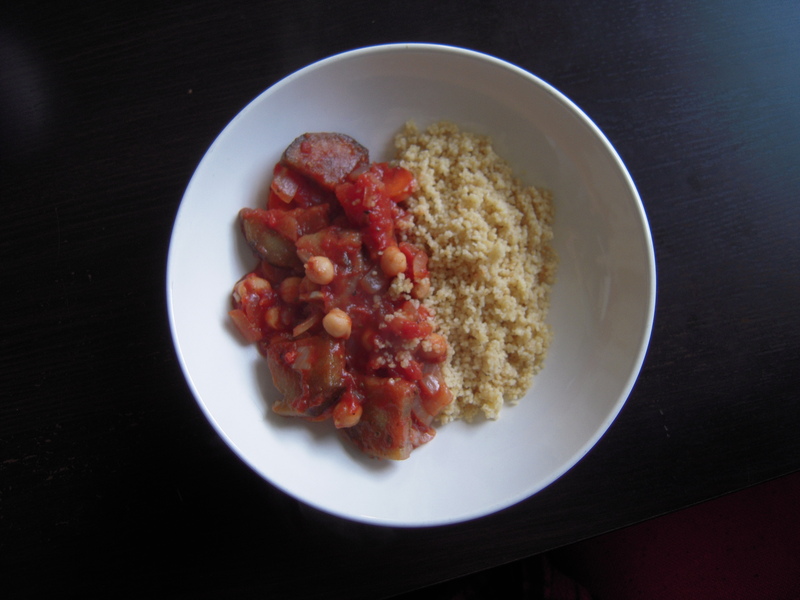 Serve with couscous or with bread. note: I would recommend making this in the morning so the flavours will be able to mingle together and it will taste super good!